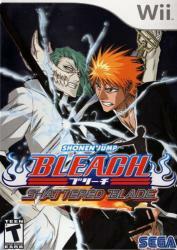 Bleach follows the life of a 15-year-old boy named Ichigo Kurosaki who is able to see spirits, including warriors from the afterlife known as Soul Reapers. One fateful day, he crosses paths with a Soul Reaper named Rukia who lends him her powers after she is injured. As one of 32 characters from the TV series, you�ll venture deep into an exciting new storyline created exclusively for the Wii on a quest to uncover the truth.